Watch your favourite video songs and movies in video player. It supports DivX, XviD, MP4, H.263, H.264, WMV file types. The HTC One X+ for AT&T gains quad-core power and pumped-up internal storage to help keep it in the thick of the pack, if not quite on top of it. 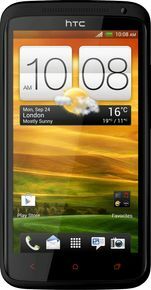 The HTC One X+ isn't exactly a new handset as such, sharing many similarities with the One X, but there are a few key upgrades in play here. my phone is heating up very quickly and vigorously,, is this common ,,,?? Its a Beast at a low price rate !! HTC sense is getting better and better in every update .